Our kind, passionate and loving husband, father, grandfather, brother and friend, Terry J Peterson, 71, passed away February 7, 2019 in Glenwood, surrounded by his family after a 3-month valiant battle with a vicious glioblastoma. He was born June 19, 1947 in Richfield to James Dancil and Cleo Idella Peterson. Terry married the love of his life, Mary Ann Oldroyd, July 18, 1968 in the St. George Temple. They recently celebrated their 50th anniversary. They went on to raise their family in Glenwood. 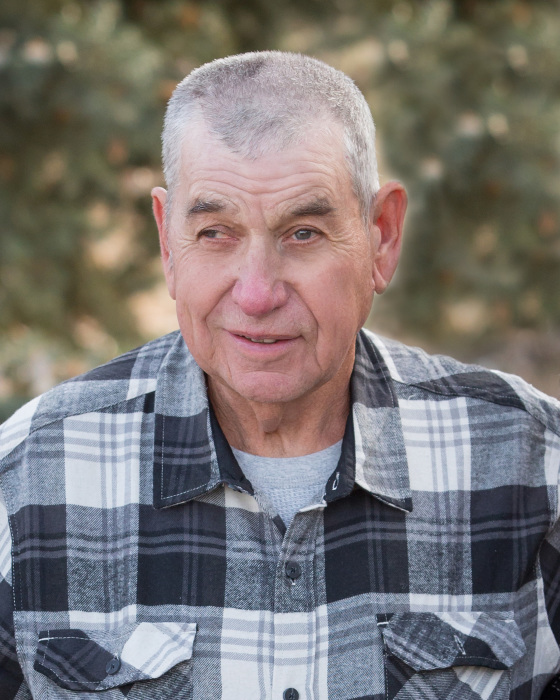 Construction was his career of choice and he loved working with heavy equipment. He also mined for Georgia Pacific and enjoyed doing that as well. Hunting was another passion of Terry’s. He would go even if he didn’t have a tag, just for the fun of it. Terry had an enthusiasm for life, family and the outdoors. After his retirement he gained new hobbies including woodworking to create personalized walking sticks and lamps from sheds that he found. He also loved to take his grandkids hunting, fishing, horse riding and for 4-wheeler rides. Terry could also be found making his morning and evening rounds throughout the lanes in Glenwood. It was during this time that he would track deer and elk as well as help anyone who needed it, tending to their livestock. He was a proud grandpa and loved to tell anyone who would listen about his grandkids’ accomplishments. Terry is survived by his wife, Mary Ann; children: Terry Paul (Wendy) Peterson, Teresa Hale, Trudy (Eric) Torgerson, Patty (Jadon) Larsen, Tammie (Mark) Roberts; 9 grandchildren; sisters: Burma Christiansen, Verna Lee Johnson, Eunice (Rodney) Rasmussen; mother-in-law Leila Oldroyd; brothers-and-sisters-in-law: Cleo Peterson, Shanna Peterson, MaeBeth Anderson, Roger (Judy) Oldroyd, Michael (Michelle) Oldroyd. He was preceded in death by his parents; grandson, Garrett Peterson; brothers: Devon Peterson, Dallis Peterson, Leon Peterson; sisters: Karma Smith, Betty Bailey; father-in-law, Gethin M Oldroyd; brothers-and-sisters-in-law: Errol Anderson, Arnold Smith, Que Christiansen, Jim Bailey, Chad Johnson, Saundra Peterson, Suzanne Peterson.